In My Creative Opinion: What Does the Fox Say? Thank you for not using your post title on your tag. ;) This is so cute!!! 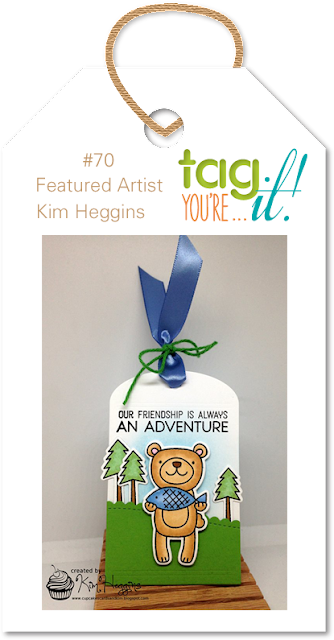 What sweet, sweet tags Tracey! Oh my...♥ them! Well, this sure makes me smile. Nothing better than a fox toasting marshmallows! Love the background. Those oxide inks are enroute to me as we speak and I hope I can do them justice! Miss Tracey....this is just too darn cute. Love in love with your sweet little fox! I love that yummy marshmallow too! Don't you just love that fabulous stamp set! 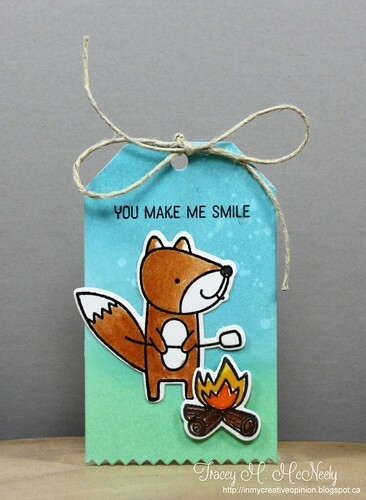 aw, your tag got a smile out of me for sure. Oh my goodness that is just cute as can be! What an adorable little fox and tag!! Love it!! Terrific background, this is adorable!! So cute, Tracey. It looks like DIOx's were the way to go for background on the tags.